Off to Montana, banana, banana! Sick again. Jeebus. So far I wouldn’t categorize it as anything worse than a cold: scratchy throat, bad cough, congestion, general crappiness. Let’s hope it doesn’t get any worse. SIGH. 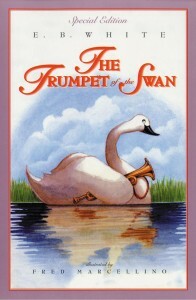 Forgot to say — I’ll be posting Trumpet of the Swan chapters here automatically on M/W/F, the same day that they show up in my podcast feed, just to keep things in sync. Anyhow — I hope you like this lovely story! Chapter 9; the last chapter. 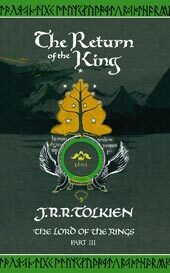 I’ve been working on The Lord of the Rings for about 12 years; I started recording it for Henry, my little Tolkien junkie who is all grown up now, and finished it for my crowd of loyal listeners who so often send me the kindest emails and comments! It’s hard to believe that it’s over. A few weeks ago, while reading David Eagleman’s excellent “Incognito: The Secret Lives of the Brain,” I had a very odd experience. The Origin of Consciousness in the Breakdown of the Bicameral Mind. So I sat there for a minute wondering what on earth that phrase was doing in my head… and then it hit me. That’s a title I remember seeing among my dad’s books when I was very small (I was 6 for most of 1976). I remember that I didn’t understand all of the words in the title, but it was such an interesting-sounding phrase. The Origin of Consciousness in the Breakdown of the Bicameral Mind. So rhythmic, so thumpy, so chewy. So, since the text I was reading didn’t actually contain that phrase and I hadn’t read Jaynes’s book and didn’t have any real idea what it was about, my unconscious mind took the author’s name (which I don’t consciously remember but must have seen on the book jacket) and the terms “break down” and “consciousness”, added them up, and gave me the correct answer to a question I didn’t even ask. And the passage which started that chain of events was in a book about neuroscience and the astonishing complexity and dexterity of the unconscious mind. The human brain. Man. I am so often struck by the AMAZING things our brains will do, things that we take completely for granted.